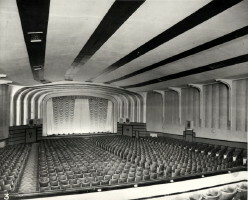 The State cinema in Leith opened in 1938, part of a rather forward-thinking multi-use leisure development that also incorporated several shops, two billiard halls, and a skittle alley. The billiards and skittles were in the two floors above the entrance foyer, with the main cinema filling the rear part of the building. The cinema closed to films in 1972, and became a Mecca bingo hall, and was later again converted at great expense into the Babylon nightclub. This has since closed, and the cinema part of the building has since been lying empty. A snooker hall still uses the upper floors in the foyer block. The building was B-listed by Historic Scotland in 1995. 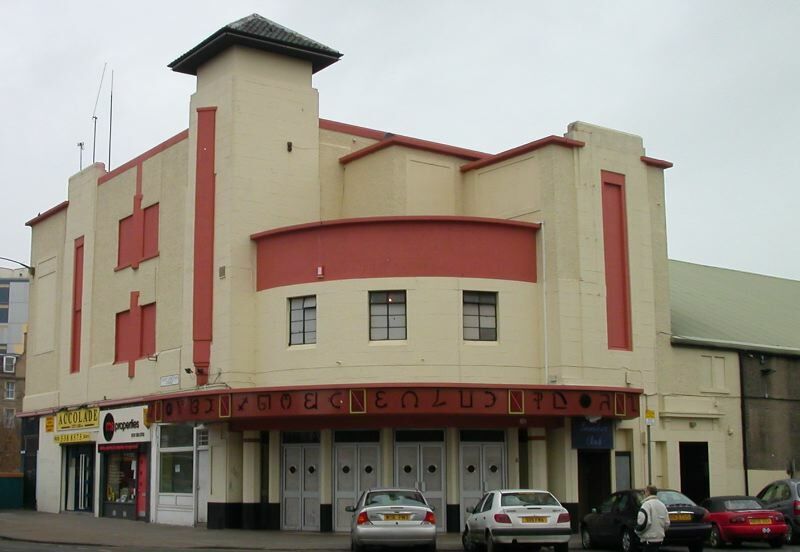 As reported in the Edinburgh Evening News, a planning application has been submitted to Edinburgh City Council to demolish the cinema part of the complex, and replace it with a restaurant and flats. The foyer block and snooker hall would remain, with the exterior being repaired and restored to its original colour scheme. The entrance to the flat complex would be through the cinema foyer, in which it is planned to retain some of the original decoration. 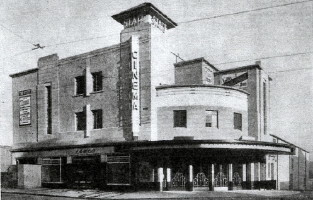 The first new kinema to be erected in Leith for eleven years, the State, in Great Junction Street, provided the architect, James Millar, of Edinburgh, with an unusual number of problems, particularly in connection with the foundations. Owing to its proximity to the Water of Leith some of the bases to stanchions had to be taken down some 20ft to get below the bed of the river. An overflow sewer had to be bridged over at 25ft below ground level and a heading driven 30ft below the tramway lines in Great Junction Street for 30 yds to make connection with the sewer. Altogether demolition, foundations and perparatory work required ten weeks and the house itself was completed in 14 weeks. The State, which is of the stadium type, seats 1,650 patrons, of whom 450 are on the raised portion behind the stalls. The whole building, which includes also four shops, two billiards saloons and a skittle alley, cost about £45,000. The facade is carried out attractively in artificial ashlar stonework, and below the square tower, its most prominent architectural feature, is the rounded canopy over the entrance. The underside of the canopy is surfaced with chromium, which reflects the neon lighting. The entrance hall is faced with walnut panelling and plastic paint finished in gold. Its main features are the decorative columns and the pay-box and confectionary stall, the fronts of which are formed in wrought-iron. A modern design in orange and buff is formed in the terrazzo floor. The general scheme of decoration in the auditorium is in green, silver and ivory, to provide a perfect background for the Holophane lighting for which the house was specially designed. The wood dado and base to proscenium arch are in green with black lines. Sight lines have been specially considered so as to ensure a perfect view of the screen from every seat in the house. The Trinity Chair Co., of Scarborough, supplied the seating. Imperial chairs to the number of 1,200, upholstered in jaspe moquette with polished scroll arms on American back-stop standards, are fixed in the auditorium, the balcony having 400 Riviera chairs, upholstered in jaspe moquette with Dunlipillo arms on American back-stop standards. Unit heaters combine in heating and ventilating the building. There are six air changes per hour, and when necessary cool fresh air can be supplied. RCA High Fidelity sound system has been installed with the latest Ross projectors. The independent lighting system comprises a Chloride battery of 110 sealed-in type, having a capacity of 60 ampere-hours at the 10-hour rate of discharge, and is operated on the floating battery system. The stage and auditorium lighting is by Holophane. The curtain is lit by a footlight and two vertical side battens, and the auditorium by a well trough and batten on the back wall. On either side of this two clip troughs are placed. The whole is controlled by the Auto Selector Control switchboard in the projection room. The total loading for the lighting and power is approximately 50kw. The State was constructed for the Leith Cinema Co. Ltd., of which James Miller is the Chairman. WH Albin, past president of the Scottish branch of the CEA is managing director, and R McLaughlin, CA, also a Scottish brand past president is secretary. The house manager is George E Ness, who was an assistant manager with the GB Corporation for a number of years.